The traditional filling can be adapted with ground chicken or turkey, and the mix of ingredients can be swapped with your own favorite seasonings. There are no hard and fast rules, so feel free to experiment. In medium bowl, add 2 teaspoons of salt to cabbage and set aside until water content has drawn out. Rinse briefly with running water and squeeze water out. In large bowl, stir ground pork in one direction continuously until it appears to be somewhat sticky. (Same theory as throwing ground beef between your hands vigorously to shape burger patties.) Mix in cabbage and remaining ingredients. 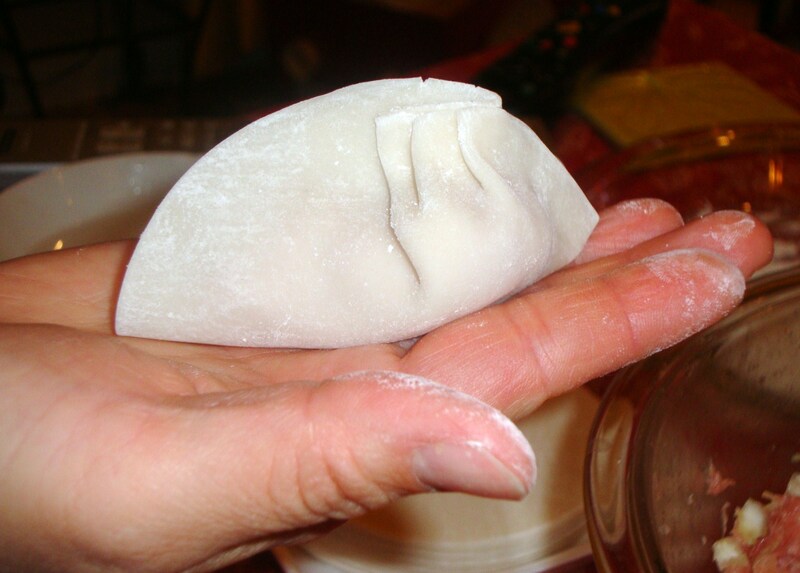 Place a dumpling wrapper in the palm of one hand. Spoon about a tablespoon of filling on top. Wet the edge of dumpling wrapping by dipping an index finger into a small bowl of water and running around the perimeter. 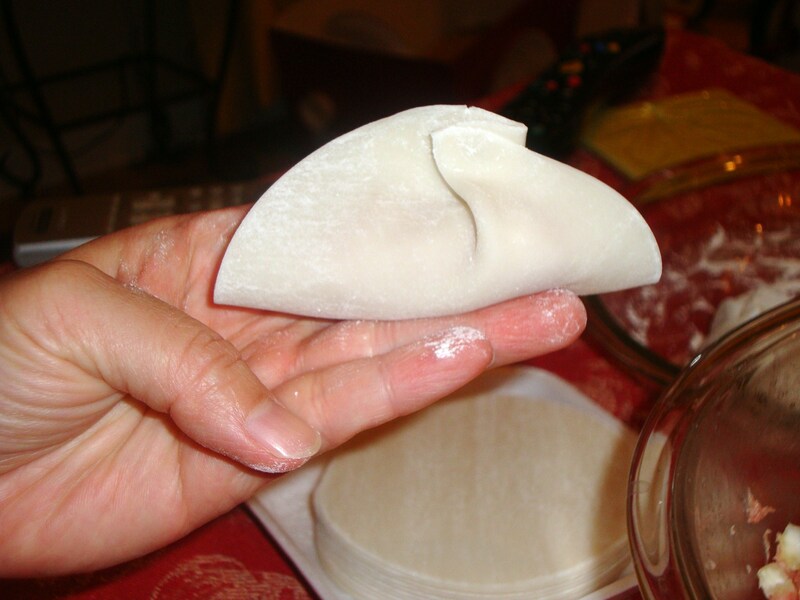 Draw edges of dumpling together in a half-moon shape and press together. Starting to the right of top center, fold a bit of the top layer over to form a pleat. Repeat three times to right and left of center, on only one side. 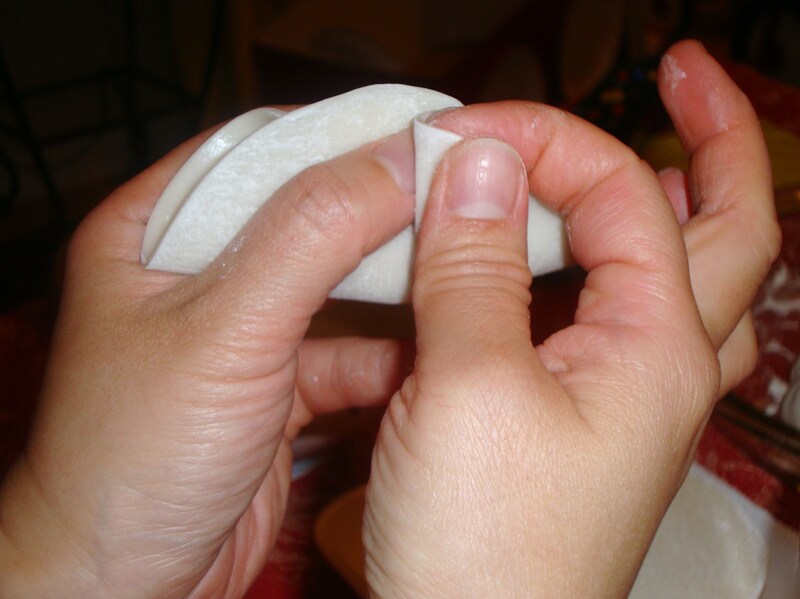 Press edges of dumpling together to seal, shaping the dumpling into a slight C-curve. Dumplings can be boiled or pan-fried (potstickers). Bring a large pot of boil to boil. Add dumplings and cook until dumplings begin to float. Drain and serve. Place a large skillet over medium-high heat and add oil to coat. 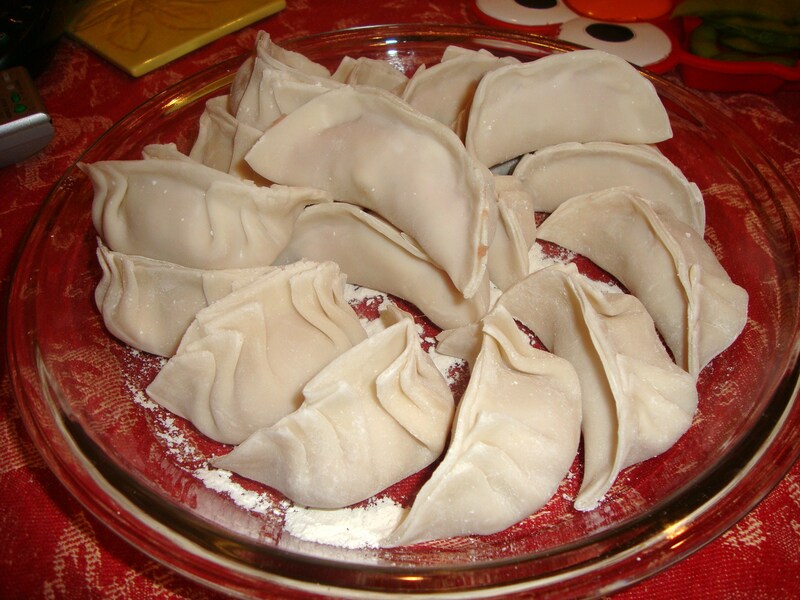 Arrange dumplings in skillet, flat side down and cook until bottoms begin to brown. Add enough water to come about halfway up dumplings. Lower heat and simmer until water has evaporated.